Did you know that your charitable donations could be tax deductible? You can get a tax break while helping other people, an ideal situation for most business owners. Your business can easily make tax deductible donations, but there is a specific process you need to follow to take advantage of this. Here’s how to make tax deductible donations for your company. The first step in making a charitable donation is picking a place. It’s important to pick a charity that you feel comfortable supporting, so take your time deciding. Look into the practices of the organization before donating and consider doing a ratio analysis to identify the best options. The place you donate must also have the proper certification for the money to be tax-deductible. A qualified organization will most likely tell you they are tax-exempt. Donations to religious organizations or non-profit firehouses are often tax-exempt even if they don’t state it. Regardless, it’s important to ask questions and do your research to conform the organization’s status. The most common type of donation is cash, but there are other ways to make a tax-deductible contribution. Think about what you can afford to give. Furniture, textiles, stock and property could all be eligible for a tax-deductible donation. Volunteering expenses may even be allowed, depending on the specific situation. Moreover, you should consider anything you will receive in return for your donation. You must subtract the value of those items from your contribution. You have many options when thinking about what to donate, so explore all possibilities before committing. For the tax-deductible donation to be “real”, you need proper documentation. Ask for a record of every transaction and review it. The record should be clear and properly dated, outlining who is giving and receiving the money. Examples include receipts and bank statements. You should also get a receipt for non-monetary donations. For example, if you donate furniture, Habitat for Humanity can give you a record for your donations. In many cases, a tax-deductible donation will not be acknowledged if there isn’t proof. Organizations are typically willing to work with you in this way, but you need to know to ask for transaction records. It’s up to you to stay on top of record keeping throughout the year. The contribution you make to a charity or organization is only deductible for that year. There are specific rules for things like Goodwill clothing donations. As stated earlier, make sure to always get a receipt, or your options for a tax break might be limited. Additionally, the IRS limits the amount of tax-deductible donations you can make, which you would not know unless you attended any online accounting courses. Typically, the IRA says the donations will be deductible for up to 50% of your organization’s adjusted gross income annually. Most donators don’t come close to this limit, but it’s good to keep in mind. Know your donation limits to maximize your contribution to a company. 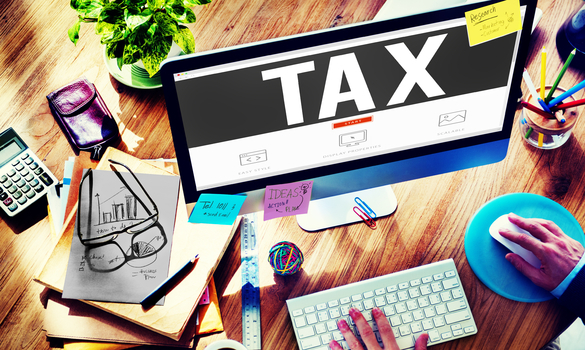 Depending on your type of business, you will file taxes differently. Some businesses file on an individual tax return. A corporation files through its business. No matter how you file, remember to own your donation when filing out the paperwork. There is a section “Gifts to Charity” that requires you to itemize your contribution. You will have to report whether you paid by cash, check or another method. The form has further instructions for gifts over $250. If you don’t report the charitable donation properly, you can’t claim a tax deduction on it. Make sure you have all the correct documents to take the deduction. When thinking about tax-deductible donations, it’s important to have a process. You must first find a place that allows your contribution to be tax-deductible. Then, think about whether or not you want to donate money or goods. Keep a receipt or record of every transaction, and know the restrictions surrounding your contribution. Finally, be sure to itemize your deduction on your taxes. Following this guide can help you determine how to make tax deductible donations for your business, which will leave you more money for other crucial business expenses, like your independent contractor insurance.